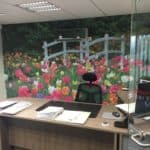 Storage and Interior Concepts have just completed a new office in Melton Mowbray. 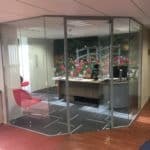 The partition is frame-less glass with an aluminium door frame around a glass door. New full height cupboard walling, carpet tiles and furniture. 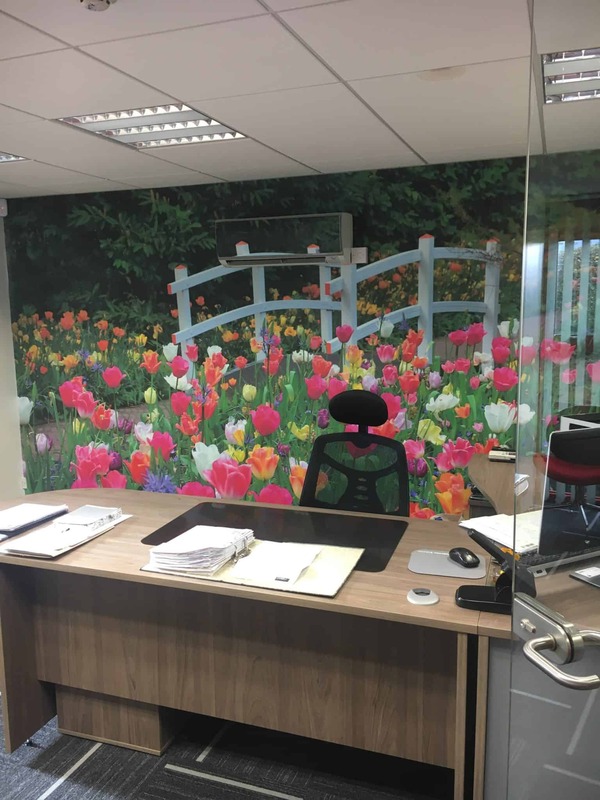 We have also decorated the back wall with a floral mural complete with a path and bridge, giving a colourful finish and an illusion of depth to the office.